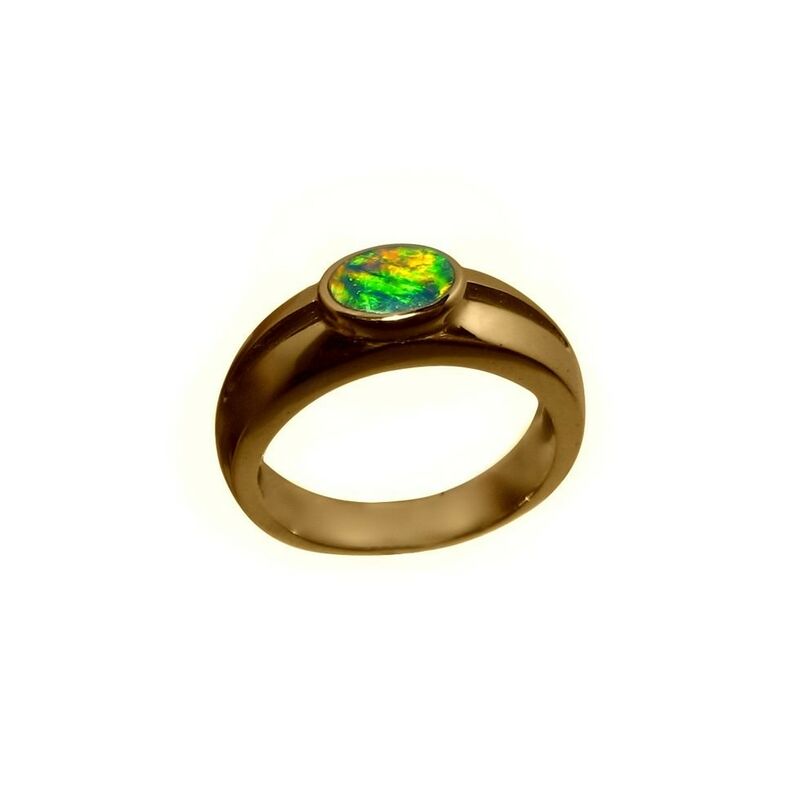 An Opal ring in 14k Gold suitable for men or women with an oval Lightning Ridge Black Crystal Opal with Orange color which is not common for Opals. 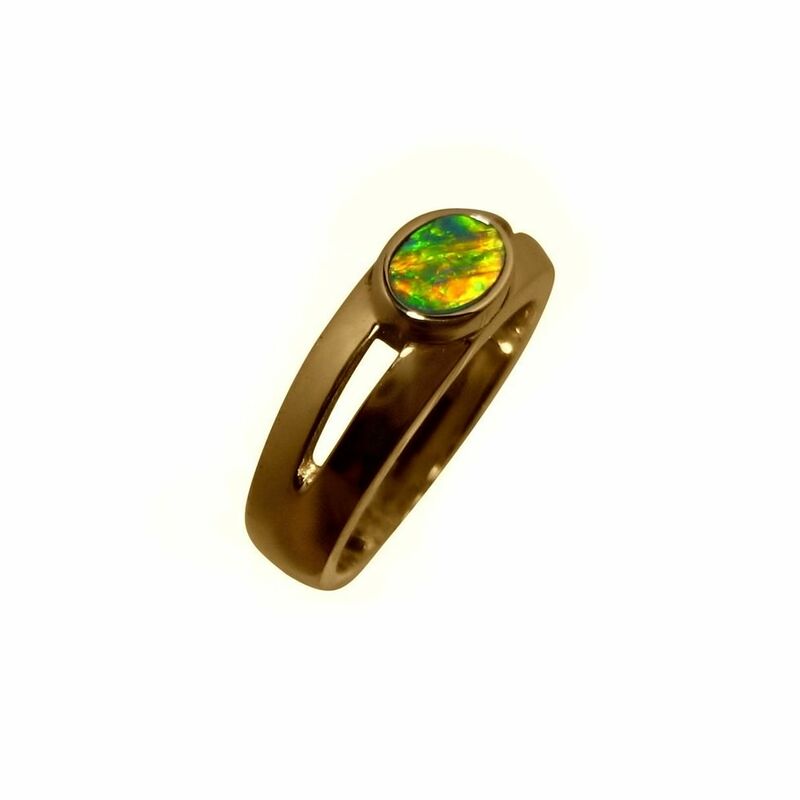 A very unique Opal ring with the Black Crystal Opal showing rare Orange color and Green in a banded sheen play of color. The ring is shown in a 14k Yellow Gold setting that can be worn by men or women and is a simple stylish design with a split in the band. 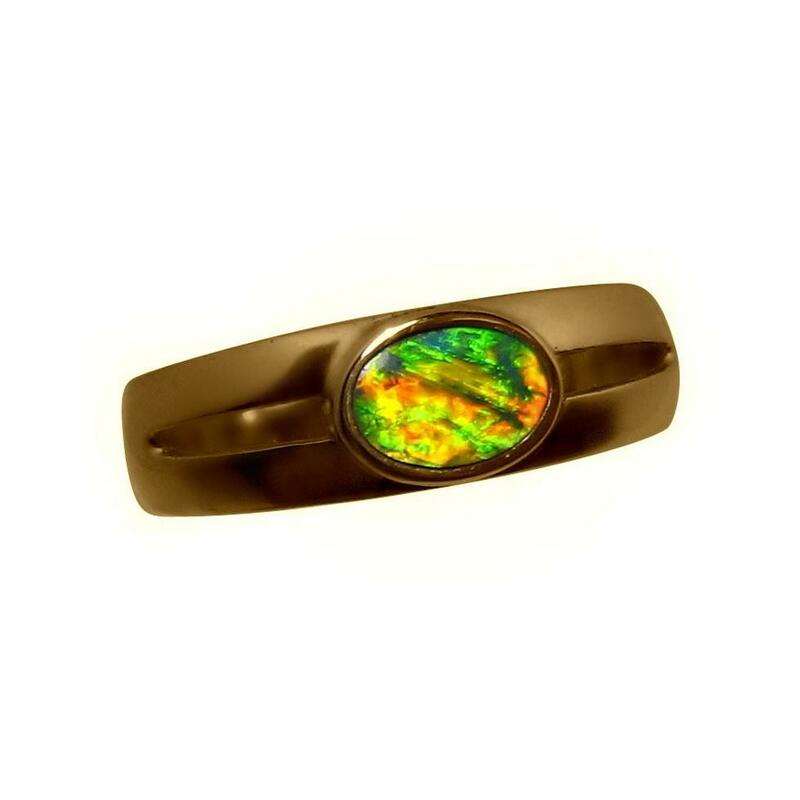 The oval Lightning Ridge Black Crystal Opal is inlaid long ways and the video will show the extreme brightness and flashes of color better than the images. This stunning Opal ring is ready to ship as advertised or will take about 7 days for any other ring size or change of Gold color.